Anyone who knows Mr Main Event, knows that growing up my favorite wrestler and super hero was Hulk Hogan. When Hogan went to WCW in 1994, it was the first time I was emotionally attached to the product. When Hogan turned his back on the fans and joined with Scott Hall and Kevin Nash to form the New World Order, that did not change my views. I was still a fan. When the attitude era was up and running, there was something that The Rock did that made me instantly become a fan. Like Hogan, he had a way of captivating the audience when he spoke on the microphone. The Rock was very creative and knew how to tell a story in the ring. What Hogan was in the 80s, The Rock was in the early 2000s. From the moment that this match was announced, I was willing to do whatever it took for my parents to order this pay-per-view. When the date finally arrived, I was glued to the television. But many would ask who was I rooting for? One one hand, there is Hulk Hogan, the man I grew up watching. On the other, there is The Rock who I am a fan of. For me, it was Hogan. How could I turn on my childhood hero? When the match began, these two relished in the moment of the Skydome in Toronto. The crowd went wild cheering both of these icons. 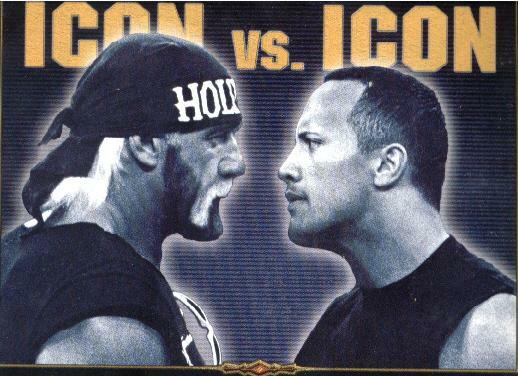 Many felt that this would not be a good match due to the fact that Hogan was well out of his prime. That was not the case. In my opinion, I was entertained from bell to bell. Unfortunately, the results were not what I had hoped for, as The Rock hit the Rock Bottom and defeated Hogan one, two, three. But the moment of this night was made, when Hogan's friends from the NWO, Hall and Nash came out to attack Hogan for showing sportsmanship after the match. When Rock noticed this, he immediately ran to the defense of the man who was once his hero. After the two celebrated and created on the best WrestleMania moments ever.